Scoot Fast Cruises are continuously being recognized within the industry as progressive and providing high standard of service. 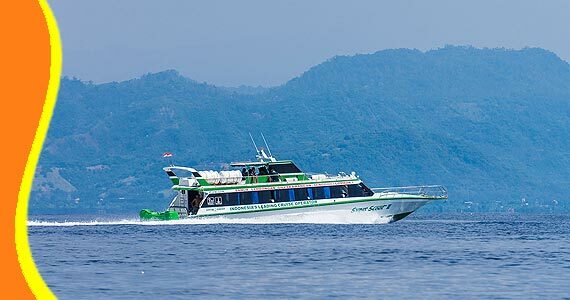 The quickest and most comfortable way to get to Lembongan, Nusa Penida, Lombok and Gili Islands. 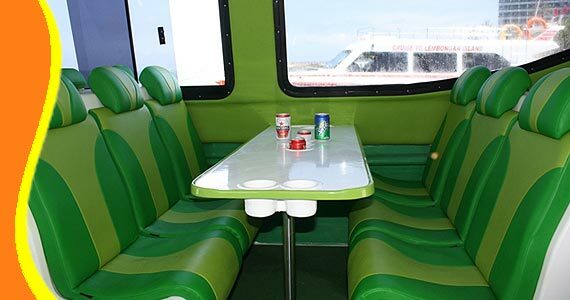 Cruise director, tables and aircraft seating. Full size Toilet and bar facilities. Top deck open seating. GPS Map Plotter, Radar 18 Miles, and Sonar Depth Sounder. Cruise director, aircraft seating. Full size Toilet and bar facilities. Top deck open seating. Call & Text Messaging (Chat, Google+, Line, Whatsapp or SMS) our customer services team on the number above, to speak to one of our Scoot Fast Boat Tripadvisor who will help you with all of your holiday needs. 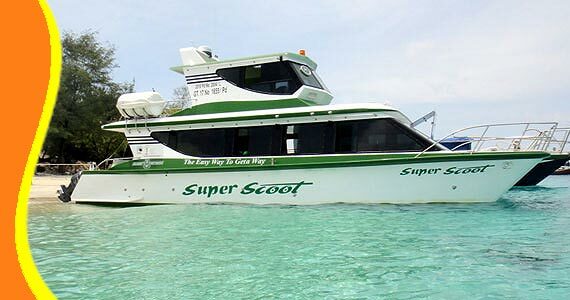 For further information Scoot Fast Cruise Bali Cheapest Price, Scoot Cruise Price, Super Scoot Fast Boat Product Details, Bali Fastboat Package Voucher, Promo Scoot Cruise Fast Boat, Bali Fast Cruise Scoot Cruises Discount, Fastboat Bali Rate, Bali FastCruise Price Promo, Scoot Fast Cruise Bali Rate deals, Bali Fast Cruise Price, Fastboat Bali Prices, Cheap Bali Fast Cruise Scoot, Cheap Scoot Fastboat Prices, Scoot Cruises Tripadvisor. Get a Bali Transport from your stay (Contact us for Cheap Bali Transport). 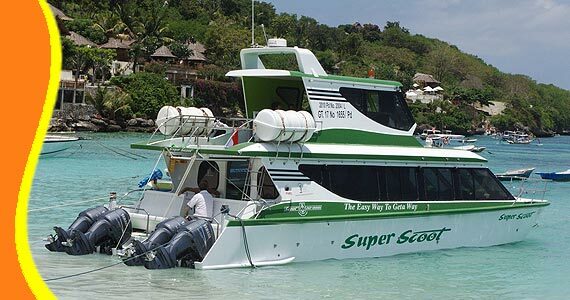 Scoot Fast Cruises also can arrange a Free Transportation including into your Trip Package. - Camera or Video Recorder to save your perfect memories Scoot Fast Cruise Lembongan. 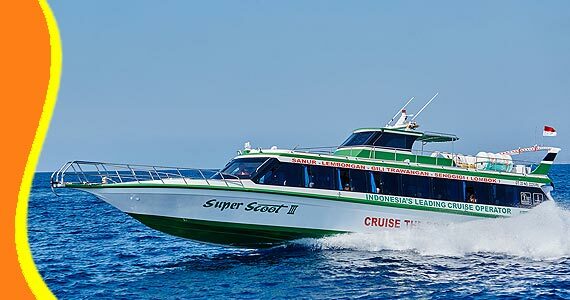 Using Scoot Fast Cruises is the fastest and most reasonably way to get Lembongan and Nusa Penida Island, takes only 30 Minutes from Sanur Beach. Or other you can takes from Padang Bay if you're staying nearby Padangbai. With a fleet of the Scoot Fast Cruises can provide a complete transfer service from your accommodation to the island and return. The vessels are equipped with navigational and safety equipment to international standards. 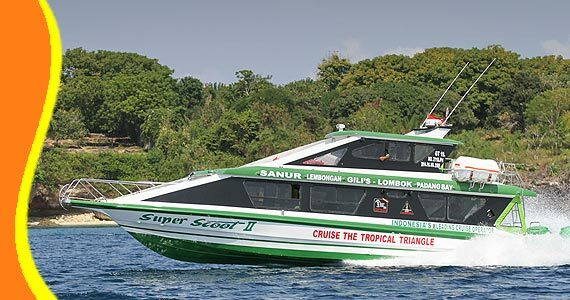 The fastest way to Lombok and Gili Islands is about 2 hours from Sanur Beach with Scoot Fast Cruises. Three perfect coral islands fringed with white sands and swaying palm trees, lay in the sparkling ocean just the northwest coast of Lombok. For many years the Gili Island have attracted visitors from around the world of their pristine waters, great diving or snorkeling opportunities and laid-back charm. There are no cars or motorbikes allowed on the island. The main form of transport, apart from walking, is by horse and cart (locally called cidomo) and bicycle. There is a good selection of restaurants, bars and from budget accommodation to a resort can find on all three islands. Each passenger is entitled to a maximum of 2 pieces luggage carried free of charge, not exceeding a total weight of 20kg. Free AC Hotel transfers are INCLUDED for central area (Sanur, Kuta, Legian, Seminyak, Jimbaran, Nusa Dua, Central Ubud, Padang Bay, Candi Dasa, Lembongan, Senggigi). Insurance and Medical Coverage to a total liability amount of 500.000.000 Rupiahs. Our insurance scheme will not cover guests for pre-existing health conditions. We will not responsible for the loss or subsequent damage to luggage. 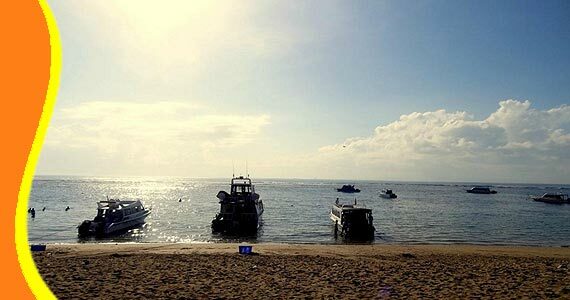 When the weather and the sea condition are such the trip to or from the Gili Island is cancelled. We will Endeavour to move passenger to alternative vessels which may still be operating however this may be at different time other than the time you were booked. We will not be responsible for any additional accommodations due to cancelation of the trip. “Good Island to Island Transportation (Ted - Australia)"